A double chin is a common condition that is often misunderstood and undertreated. A double chin can be due to excess submental fat, loss of skin elasticity or a combination of the two. 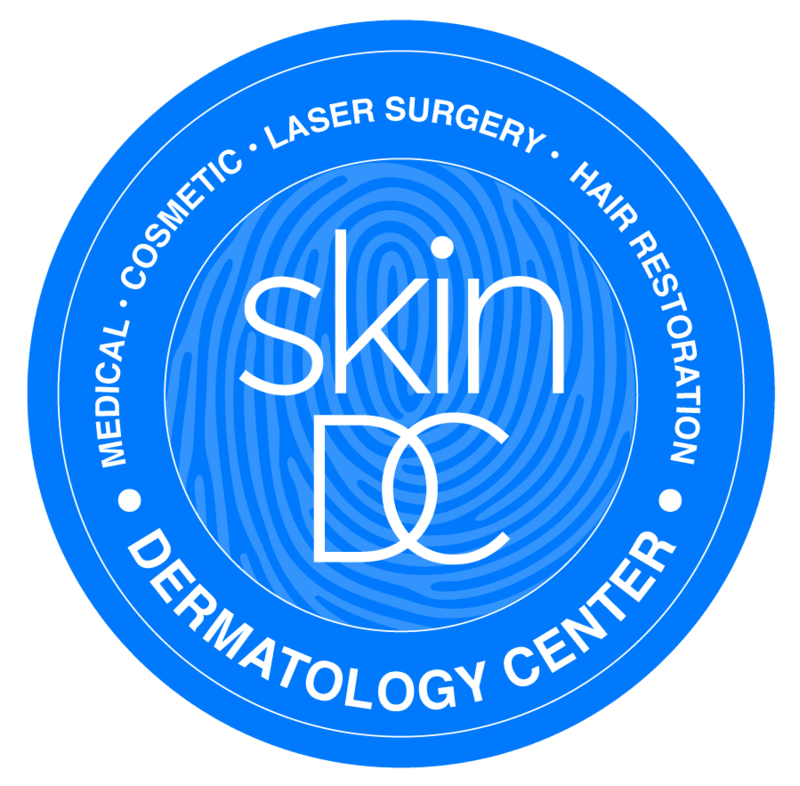 The physicians at SkinDC know the importance of identifying the underlying cause because the treatment varies depending on the underlying condition. Correct identification and treatment of your double chin can lead to significant improvement and definition of your jawline. An increase in submental fat, the thin layer of fat that forms below your chin, is the most common cause of a double chin. It is not always related to weight gain and can be due to genetics. Submental fat can effectively be treated with an FDA approved injectable, Kybella. This treatment dissolves fat cells through a series of injections. It is a noninvasive and nonsurgical treatment that provides permanent reduction in submental fat. Kybella is the first (and only) injectable designed to treat the double chin. If your double chin is caused by loss of skin elasticity, the skin underneath the chin will sag and create a wrinkle giving the illusion of having two chins. You do not have to be overweight for this to happen to you and is common as one ages. The treatment is to increase the skin elasticity through an energy based procedure called Exilis. Exilis uses both ultrasound and radio frequency to cause a controlled thermal injury leading to skin tightening and improvement in the appearance of your double chin.